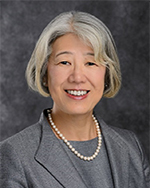 Midori Takeuchi assumed the position of Consul-General of Japan in Denver in November of 2018. Consul General Takeuchi joined the Ministry of Foreign Affairs in 1982. This is the third time she has been assigned to diplomatic service in the United States, as she has previously served at the Consulate-General of Japan in New York and the Consulate-General of Japan in Detroit. In the Ministry of Foreign Affairs, she has worked in the fields of North American affairs, foreign service training and public relations, as well as economic affairs including energy and Asia-Europe cooperation. She has also spent time seconded to the Board of Audit of Japan. She is married with two sons, originally from Nagano Prefecture.